You mentioned those two books you’re at some stage with, but what are you working on now? I am still secretive about it, but I’ll probably be ready to announce it this fall. I haven’t signed a contract yet, but the plan is to serialize it as a comic book. For the first time in my career. When I did Blankets I was really pushing against comic book store culture and collector mentality and serial comics. I was sick of the format of comic books. Now I’m sick of graphic novels and the pretension around them and the prohibitive cost and space they consume. We live in this era over-saturated with media and images and there’s something really pure about the 24-32 page comic book to me now. As I was struggling with how to structure this new book, I realized that I want to do it as a comic book. It’s still going to be a graphic novel but I want to use the constraint as the structure. I’m excited about comics as a medium again. 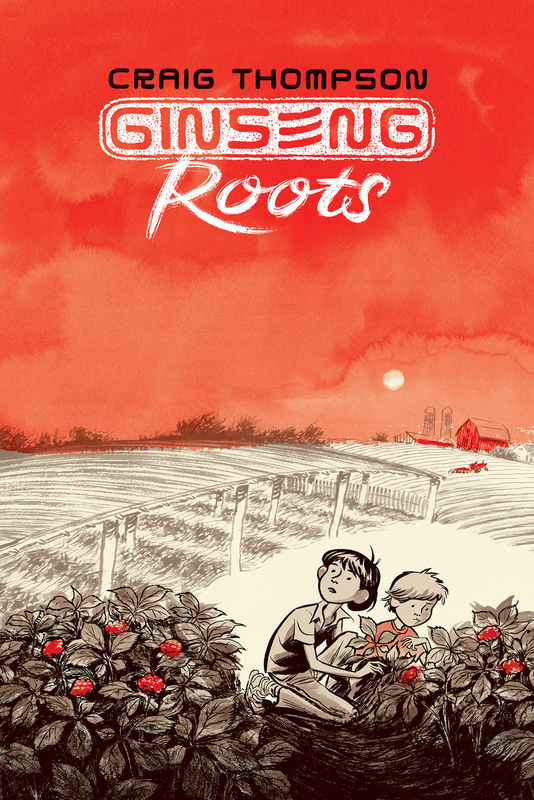 Thompson describes the new series as “part memoir, part travelogue, part essay—all comic book—Ginseng Roots explores class divide, agriculture, holistic healing, the 300 year long trade relationship between China and North America, childhood labor, and the bond between two brothers.” So it ought to be one to keep your eye out for.